It seems like people are always looking for ways to improve their fit appearance, and like strong shoulders and massive biceps, an eye-popping set of abs is usually a big part of that image. So I put together a set of 20 tips for sculpting a flat stomach and broke it into two parts. This is the second part, you can see the first ten tips here. As I mentioned in Part 1, achieving an impressive set of chiseled abs isn’t an easy process, but it’s not as difficult as some would have you think, either. Like most fitness goals, it involves knowledge of how your body works, some common sense and smart workouts, plus a healthy dose of self-discipline. Here’s the second set of 10 tips for impressive abs. Use any or all of them, as well as combining them with the first ten I gave you. For the best results, of course, all 20 is the way to go. We all know that any kind of stress can trigger the release of cortisol into the system. 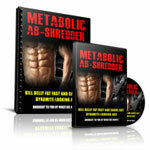 And cortisol hinders fat-burn and promotes fat storage, especially around the midsection. What you may not realize is that even minor stressors can trigger cortisol release. A study several years ago showed that even the stress of monitoring caloric intake was sufficient to cause a rise in cortisol levels in dieters. In that same study, it was determined that insufficient or irregular sleep also contributed significantly to increased cortisol in the system. This is why we need to get a minimum of 8 hours of sleep each night on a regular schedule. I also recommend setting a daily time by which you’ve turned off your email, Facebook, cell phone and TV, so you can wind down and be prepared to get proper rest. You can also take just 3 or 4 minutes each morning to remind yourself of the good things in your life – it helps keep a positive mindset throughout the day. You can do this again in the middle of the day, taking a ten minute break to listen to some relaxing music, meditate, pray – whatever relaxes you. 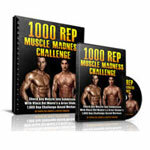 Instead of a standard 1-hour workout, you can split it into two 30-minute sessions. This not only helps by breaking up the monotony, it also allows you to hit a higher intensity level because you’re getting some recovery time in between those sessions. Besides, with a 60 minute workout, it’s too easy to force your muscles into a catabolic state, as well as triggering cortisol release. Splitting your workout will lessen this risk. Whether you measure your portion sizes by weight, volume or just by eyeballing, it’s important to measure them somehow. I’m pretty good at estimating them by eyeballing, but I still use my food scale because I think weight is the most reliable metric. Just remember, what doesn’t get measured doesn’t get managed. I make changes in my diet gradually. For instance, as I become leaner, I might increase a portion of fish from 8 oz to 10 oz. That’s right, I increase my protein intake as I get leaner. For the same reason, I gradually reduce my carbs as I get leaner. I might cut my 12 oz portion of sweet potatoes down to 10 oz. I rarely bother to measure my vegetables, because I try to consume as much as I can of those – at least a cup at each meal. But for the rest of your diet, I’d say that not measuring your food with a scale is like trying to save money without ever checking your bank balance – it won’t be very effective. If you want to see real gains at building new muscle, you need to get some volume workouts in. You can split this, but be sure you hit the minimum total per week, or you’re not going to see the best results. When it comes to cardio for fat-burning, high intensity interval cardio can’t be beaten. This isn’t for sissies, but nothing strips fat off your gut faster, to get you those well-defined abs you’re looking for . 16. Alcohol and sweets – only on special occasions. There’s nothing but sugar and empty calories in alcohol, and the same is true of most desserts. And here’s a shocker for you: studies have shown that a Friday night of heavy drinking will suppress your testosterone level until the next Wednesday! Wow! Are you sure you’re prepared to throw 60% of your efforts for the week away? There’s nothing wrong with an occasional treat, but I suggest you avoid the sweets and alcohol except for very special (and rare) occasions. 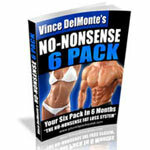 What it boils down to is deciding whether a six-pack of beer is more important to you than your six-pack abs. After a few weeks without the sweets and alcohol, your cravings will subside, so you won’t want them as often. And if you do treat yourself on a special occasion, you won’t want as much. Personally, I think a person should get most of their nutrition from whole foods, but there are some studies that indicate that because of depleted soil, we’re typically getting only around 40% of the nutrients in our food. That’s a big hit, so I think supplements are a good idea for making up the difference. For instance, IC5 from BioTrust has a great insulin-management supplement. You can also keep your digestive system tuned up with probiotics, and promote overall health and fat anabolism with magnesium, Vitamins C & D and fish oil. Cyclical bulking – shorter periods of alternate cutting and bulking – helps keep your hormones at the optimum levels for both cycles. You can take advantage of the hormonal balance present after each transition point to make your efforts most productive. During a shorter bulking phase, you’re taking advantage of the anabolism caused by the preceding caloric deficit, then as your system becomes accustomed to the increased calories, you can shift to cutting. On the shorter cutting phase, the increased insulin sensitivity caused by your bulking diet, as well as the optimized ghrelin and leptin levels will aid your cutting. 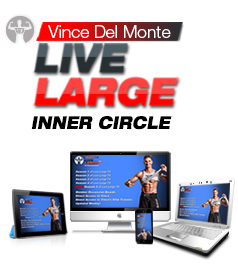 Again, when your system begins to acclimate, you’re ready to shift back to bulking. 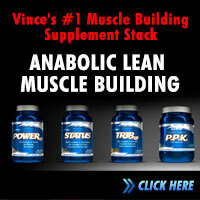 I’ve seen fantastic results by bulking for 2-12 weeks and then following it with 1- 4 weeks of cutting. 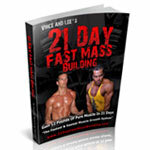 If you like, you can grab a copy of my www.21DayFastMassBuilding.com program, to pick up the science of gaining muscle, not fat, using cyclical bulking. Break your goal of chiseled abs into smaller goals, like losing 1% body fat each week or by upping the intensity and volume of your ab exercises. Then assign a deadline for each, because you’re more likely to achieve something when you’re held accountable. A training journal is critical at this point, in my opinion. You need to have a structured plan, with accountability, as well as a way of tracking your progress. Without that, you’re flying blind, and any progress you manage will be by pure luck. For maximum results, track! If you’re not seeing the progress you want and you’re serious about ripped abs, stop designing your own program. A trained professional can prepare a periodized 12-month program for you, providing progressive phases and continuity to yield the best results. You can hire a coach or you can sign up for my Hypertrophy Max program – whatever necessary to get some professional guidance so you’re not spinning your wheels. Okay, now you’ve got the second batch of ten tips for killer abs. You’re all set to put some or all of them in practice (all is better, for the best results) and you’ll be on the way to having that washboard gut you want. Great advice and info.. . . .
Vince I do (20 minutes) 2 sessions of sprint swimming / running weekly and a session on my day off at the pool liss (40 minutes) helps me reflect and relax. I think we just have to be consistent. This means that our lifestyle, diet and all our actions have to be consistent with getting six pack abs. We can’t possibly have the hardest workouts in the world but eat 100 slices of bread a day. That wouldn’t work out.